It’s confirmed. The IRS will begin issuing Letter 226J for the 2016 tax year in the next few weeks. IRS staff has indicated that the penalty notices for 2016 are ready to start being issued as they have completed the final batch of Letter 226J notices being issued for the 2015 tax year. The IRS sent more than 30,000 Letter 226J notices to organizations it believed did not comply with the ACA for the 2015 year, issuing penalty assessments of more than $4.4 billion. Under the statute of limitations, ACA penalties can be assessed by the IRS up to three years from the filing date or due date, whichever is later. The IRS has until mid-2019 to continue issuing 2015 Letter 226J penalty notices. However, it appears that the final batch of notices for 2015 have been sent this month. 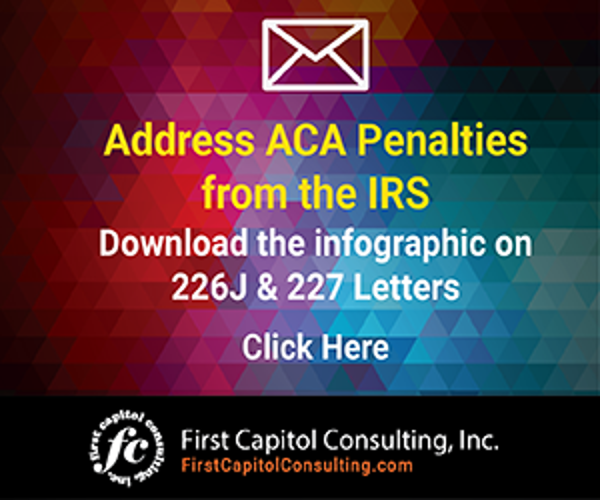 The IRS laid the groundwork for issuing the 2016 Letter 226J penalty notices this fall when they began issuing Letter 5699 notices to employers in August as part of the process to sort out which organizations may not have complied with the ACA in 2016. Letter 5699 essentially states that the IRS believes that a particular organization was an Applicable Large Employer (ALE) and failed to file information returns for the 2016 reporting. Organizations with 50 or more full-time employees and full-time equivalent employees in 2016 were considered to be an ALEs under the ACA’s Employer Mandate. The Letter 5699 notice asked employers to confirm the name the ALE used when filing its ACA information, provide the Employer Identification Number (EIN) submitted, and the date the filing was made. We can assume this process has ended now that the issuance of Letter 226J notices for 2016 are imminent. When these Letter 226J notices do start to arrive, they may carry much higher penalty assessments than those levied by the IRS for the 2015 tax year. The primary reason for the likely higher penalty assessments is the more stringent regulatory requirements in 2016 to have employers offer Minimum Essential Coverage (MEC) to at least 95% of their full-time employees and their dependents, whereby such coverage meets Minimum Value (MV) and is affordable for the employee or be subject to IRS 4980H penalties. The requirement in 2015 was to offer such coverage to at least 70% of the full-time employees and their dependents. The Treasury Inspector General for Tax Administration (TIGTA) report from March 21, 2018, stated in regards to the 2016 reporting year that the IRS’s processes could be more efficient in identifying ACA non-compliance based on recommended process improvements to better capture employers that failed to comply with the Employer Shared Responsibility Provisions (ESRP). The IRS accepted these recommendations, resulting in the expenditure of over $2.8 million to improve the process for identifying, calculating, and processing ALEs that are not in compliance with the ESRP. The TIGTA report states that for the 2016 reporting year and onward, the IRS will be selecting employers on a “highest value of work” basis. In other words, the bigger the potential penalty, the more likely the IRS will come calling with a penalty assessment. This is bad news for larger ALEs that have been ignoring or being lax in meeting the responsibilities under the ACA Employer Mandate. It should be noted that there is no statute of limitations for a non-filed return. Employers that did not file a return in 2015, 2016 or 2017 can be penalized for as many years as that return is not filed until the IRS decides to issue a penalty assessment with interest. Organizations should evaluate their ACA compliance process to determine their potential penalty risk. Employers with 50 or more full-time or full-time equivalent employees that have not filed their 2015, 2016 or 2017 tax year ACA information returns with the IRS should file as soon as possible using IRS Schedules 1094-C and 1095-C to minimize potential IRS penalties. The IRS has made it clear that there will be no waivers provided for ALEs that have not filed their ACA information returns. For employers who have filed their 2016 information returns with the IRS, but are unsure that they have met the 95% offer threshold, it may be prudent for them to review their 2016 and 2017 filings to determine their potential penalty exposure. 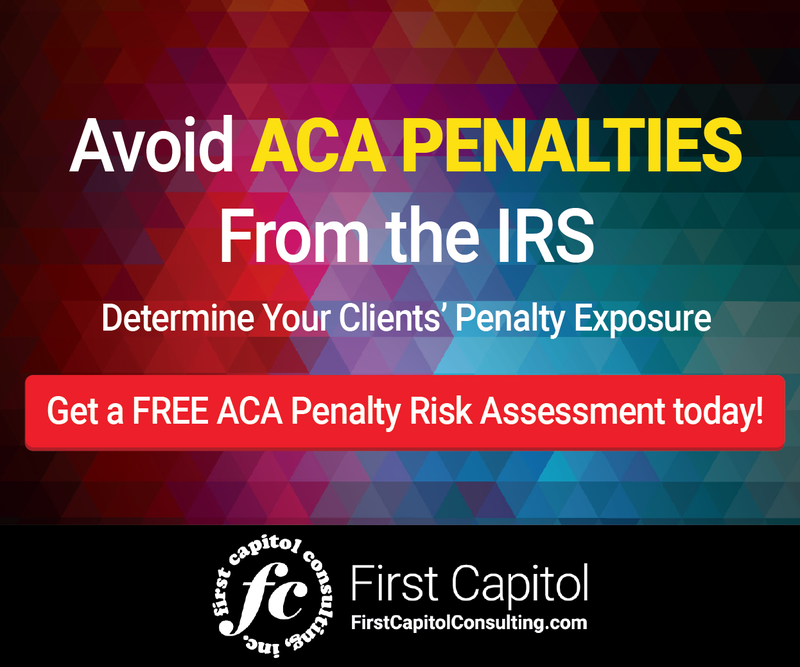 Consider seeking the assistance of an outside expert to help in this evaluation, preferably one that will provide this type of ACA penalty risk assessment at no cost. If it is determined that there are errors in your IRS filings, you have the opportunity to correct those filings with the IRS before receiving a Letter 226J penalty notice and having to go through the process of responding to it. As we’ve same many times before, there is too much at stake financially for employers not to be confident that they are in compliance with the ACA. The IRS will begin issuing Letter 226J for the 2016 tax year in the next few weeks.